Unique Wellness is proud to be the first to offer the Nonsurgical 20 minute Face Lift! Restore your skin’s natural beauty and softness without invasive surgery. At Unique Wellness Center in Coral Springs, Florida, we offer the latest advancements in nonsurgical aesthetic services, so you can look and feel better than you ever have before. Whether you are trying to smooth fine lines and wrinkles, improve the texture or tone of your skin, permanently remove hair, reduce the appearance of stretch marks or scars, or stimulate hair growth, we have a treatment that is right for you. 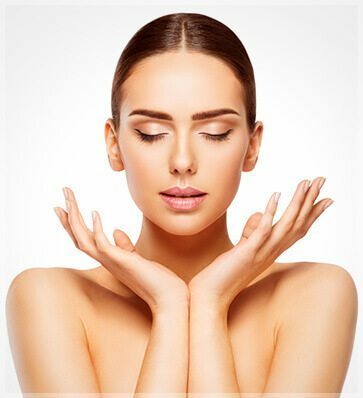 Treatments by our certified Medical Aesthetician include facial treatments, chemical peels, masks, micro-needling or other advanced exfoliation solutions that best address the unique needs of your skin. In addition to these skin treatments, our Board-certified Physician offers enhancements like Dermal Fillers and BOTOX® to soften skin and smooth wrinkles, and LATISSE® for longer, fuller, more beautiful eyelashes. At Unique Wellness Center, our goal is to help improve your appearance, so you spend less time worrying about wrinkles, rough skin, or dwindling eyelashes, and more time living your life with passion! Everyone wants glowing skin…and healthy skin is a part of your wellness routine. People get facials and peels for many reasons including the removal of blackheads, reducing the appearance of wrinkles, or simply because they want to relax and be pampered. Whatever the case may be, facials and peels are an important part of a healthy skin regimen. We offer the latest treatments and technology to keep you looking your “Unique” best at all times. Micro-needling is a minimally invasive, non-surgical procedure for facial rejuvenation. It involves the use of a micro-needling device with controlled fine needles that puncture the skin. This creates a channel or micro-wound that triggers the body to fill these micro-wounds by producing new collagen and elastin. Do you have time for a lunch break? Then you’ve got time to turn back the clock and look years younger instantly. In as little as 20 minutes, we can provide dermal filler injections to give you the refreshed, youthful appearance you desire. Our providers use FDA-approved dermal fillers like Juvederm® to soften facial creases, reduce acne scarring, and plump your lips. At Unique Wellness Center in Coral Springs, Florida, our knowledgeable aesthetic specialists will work with you to develop a customized treatment plan to achieve the results you desire. We pride ourselves in making sure that we participate in ongoing specialized training, so we can offer you the least risk with the best results. These results can last up to a full year for a fraction of the cost of what a typical facelift would be, without the pain and recovery time of going under the knife. Call today at (954) 368-9656 or request a consultation online. Another type of cosmetic and medical injection, BOTOX® relaxes the facial muscles that cause wrinkles. This simple, nonsurgical treatment is used to minimize the appearance of fine lines and wrinkles between the eyebrows (frown lines) as well as crow’s feet around the eyes. Using a very fine needle, our aesthetic specialists at Unique Wellness Center in Coral Springs, Florida, inject the Botox directly into targeted facial muscles. To decrease the sensation of the injection, a topical anesthetic cream can be applied to your skin first. Your Botox treatment is administered during a typical office visit and the process only takes a few minutes. There is no downtime, and you should be able to resume your normal activities immediately. The full effects of Botox-induced muscle relaxation start to occur within a few days. And by the end of one week, you’ll notice a significant reduction in the fine lines and wrinkles in the treated area. After the effects wear off, repeat injections of Botox may be given to keep your skin smooth and younger-looking. Botox is an FDA-approved treatment for several medical conditions, with the most popular use being a very effective wrinkle reducer. To learn more about Botox treatments, call us today at (954) 368-9656 or request a consultation online. Have you always dreamed of longer, fuller, more lush eyelashes that make your eyes pop without having to constantly reapply messy mascara? Our aesthetic specialists recommend LATISSE®, a topically applied solution that treats inadequate eyelashes. LATISSE is proven to increase the number of lashes that grow, and extend their growth phase, so you get natural and lush lashes without sticky clumps of eye makeup. Simple to use, LATISSE is applied to the upper lashes each night with a sterile applicator and is spread to the lower lashes each time you blink. Results can be seen in as little as two months, and after 16 weeks the thickness may increase by over 100%, and length increases by 25 percent. Get LATISSE today and say goodbye to thinning, brittle eyelashes. Call (954) 368-9656 or request an appointment online. The TempSure Envi medical system uses a special radiofrequency (RF) technology to help minimize fine lines, reduce wrinkles, tighten skin, and reduce the appearance of cellulite – for a more beautiful body and complexion. This device uses radiating heat to deliver a deep treatment for the skin, helping to facilitate the regeneration of collagen. Skin tightens and becomes more youthful, and wrinkles diminish. Welcome to a simpler way to maintain beautiful skin! 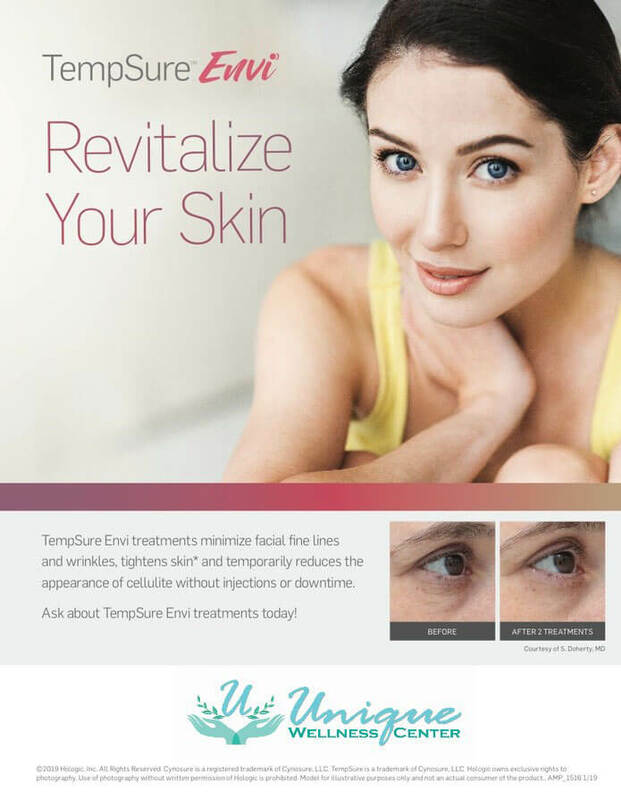 TempSure Envi targets facial fine lines and wrinkles. TempSure Envi delivers radiofrequency technology to gently heat your skin therapeutically. Increasing the skin’s temperature for a short time in this specific way will trigger a natural response for your skin to create new collagen. The new collagen fibers in your skin are now tight, dense, and neatly organized – giving you tighter, younger-looking skin. TempSure Envi targets fine lines and wrinkles on the face and lessens the appearance of cellulite on the body. It’s best to schedule a series of treatments and then plan regular maintenance treatments; this will help your body counteract the loss of collagen that is part of the natural aging process. Just like regular trips to your hair stylist or nail salon, you can make your TempSure Envi treatments a key part of your beauty routine! During a face-only treatment, you will experience a gentle warming sensation around the target area(s). Most facial treatments can be performed in under 45 minutes, which makes this a great lunchtime option. During a body-only treatment, you will experience not only a gentle warming sensation but also a mild massage sensation around the target area(s). Most body treatments can be performed in under an hour! Ready to get the more youthful and rested appearance you desire? Let our aesthetic experts help you accomplish all your beauty care goals. Call us at (954) 368-9656 or request an appointment online at our Coral Springs office today. Stacey is committed to partnering with each unique client to reach their goal for beautiful healthy skin. In addition to a Bachelor of Science, Stacey has also earned an Associate of Science degree in Advanced Paramedical Aesthetics from Florida College of Natural Health as well as the designations of Certified Medical Electrologist, and Certified Laser Tech. Stacey is a dedicated master aesthetician and is always evolving in order to bring you the latest in skincare and body treatments. Stacey has dedicated her career to understanding, specializing, and treating ethnic, global, aging, and adolescent skin. Whether you are trying to smooth fine lines and wrinkles, improve the texture of your skin, even out skin discoloration, reduce redness or clear acne/blemished skin, remove unwanted hair, reduce the appearance of stretchmarks Stacey has a solution that is right for you.